You would like to remove your virtual machine's applications or the virtual machines' Applications folders from the Mac Launchpad. Right-click on the app icon in the Dock and choose "Remove from Launchpad"
Important: There will be two folders with the same name. Choose the one that contains the apps' icons. 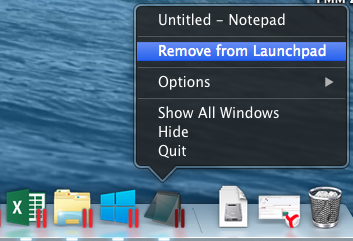 Select the apps you would like to delete from the Launchpad and move them to Trash. Empty Trash. 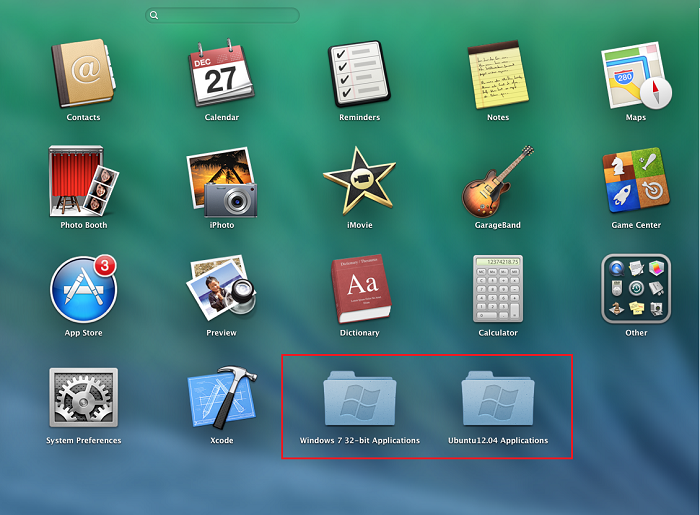 Locate your virtual machine's folder you would like to remove and move it to Trash. Important: There will be two folders with the same name. Choose the one that does not contains the apps' icons.